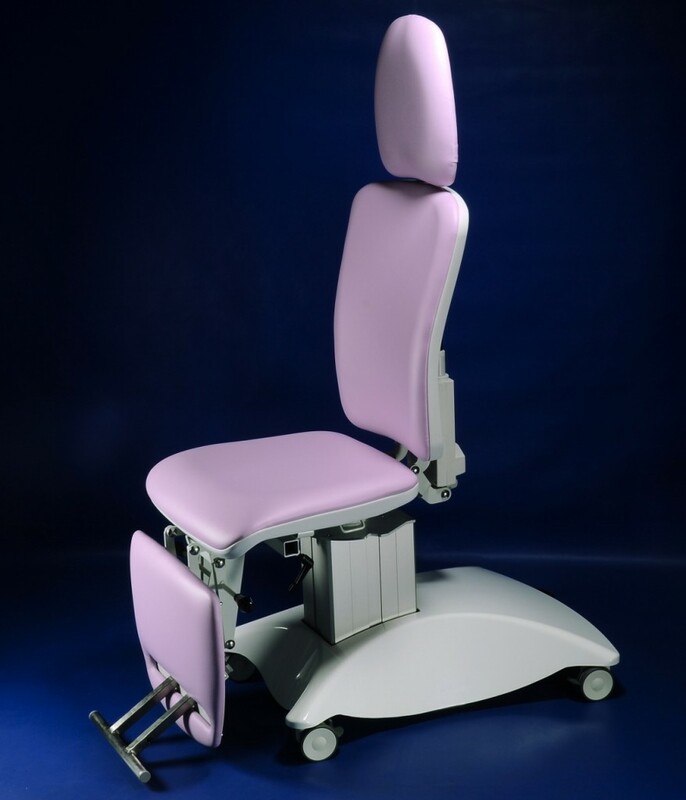 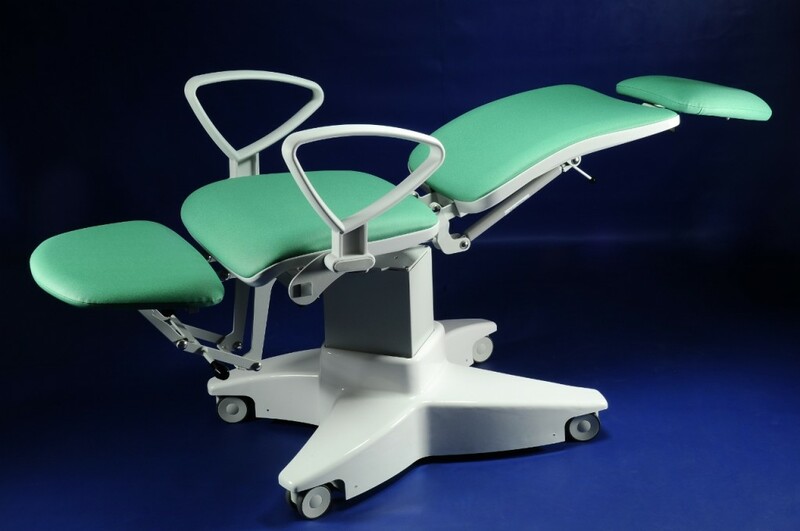 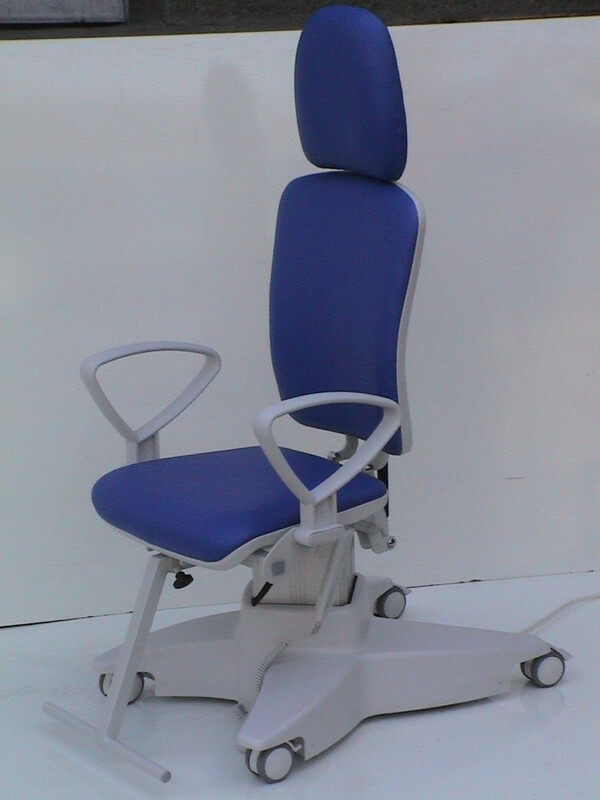 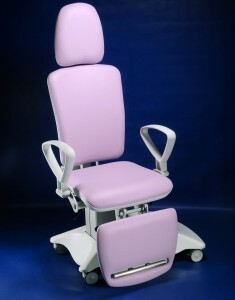 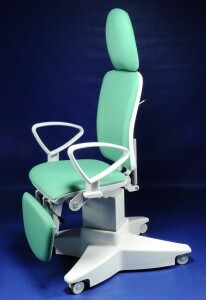 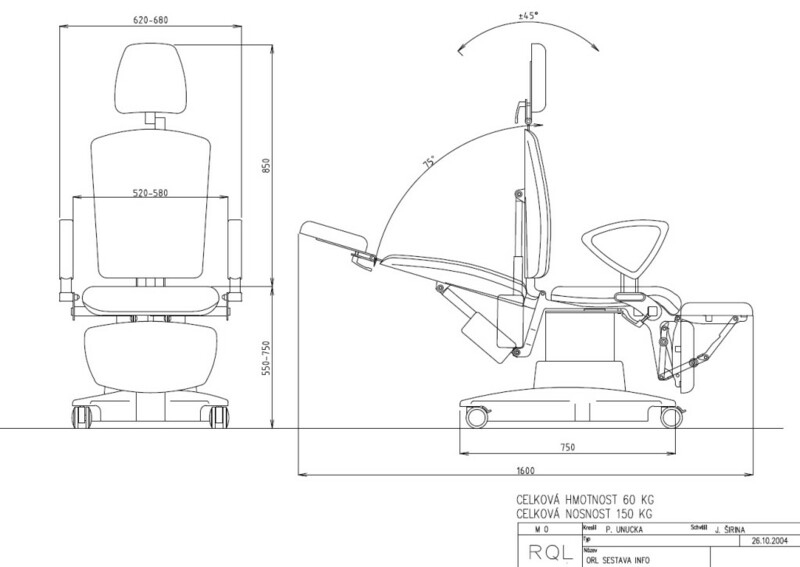 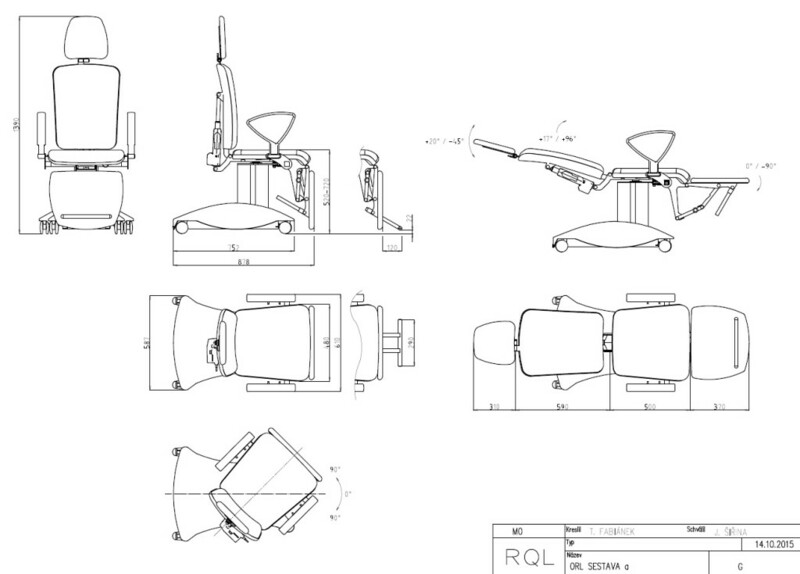 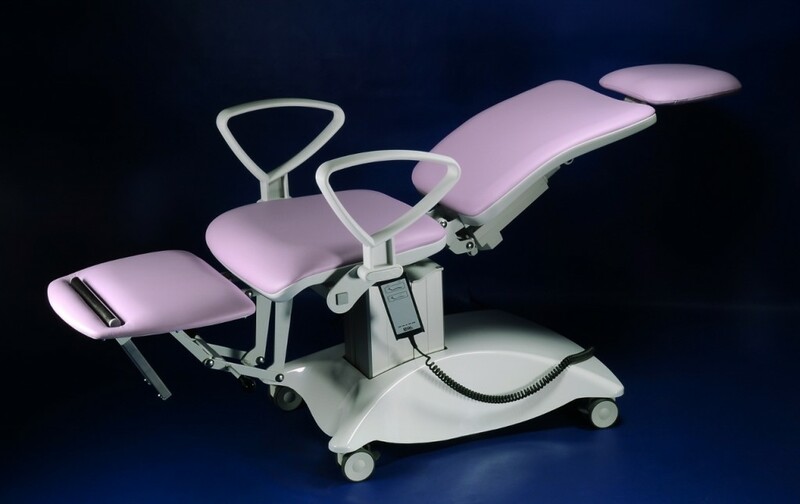 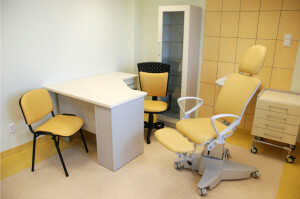 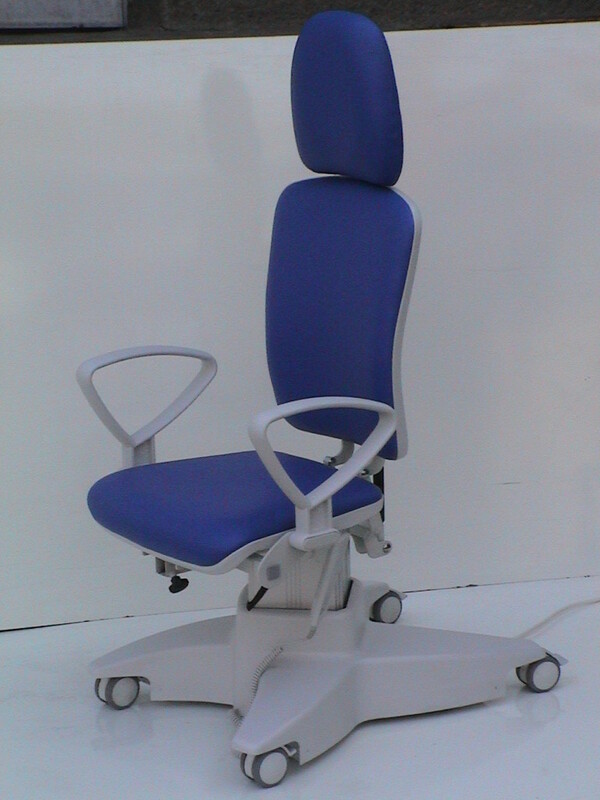 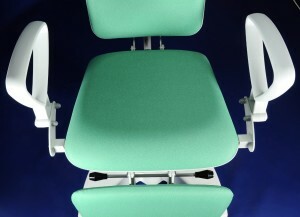 A comfortable, universal chair for examining of patients in the sitting, half-lying or lying position. 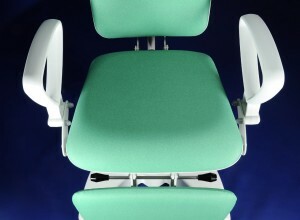 Modern design with comfortable upholstery and grey plastic casings. Travelling version with Ø 75 mm braked wheels. 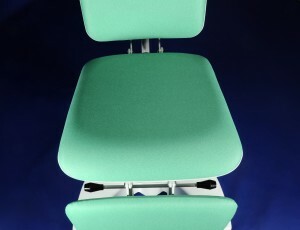 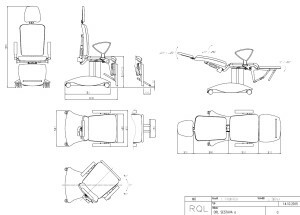 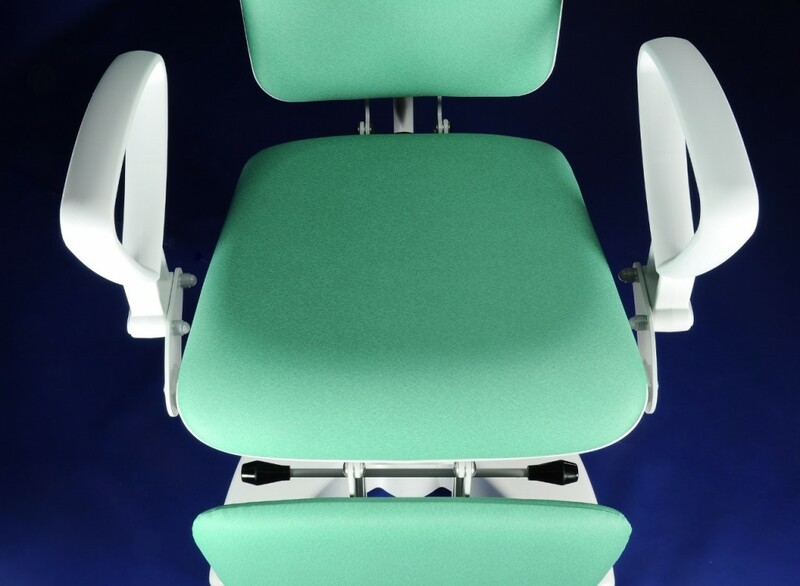 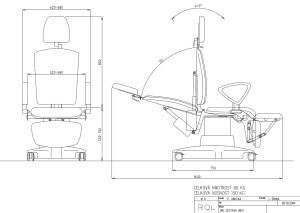 The four-segment operating surface with a width of 480 mm is covered with seamless artificial leather in a colour of your choice; it is divided into a head segment, a backrest, a seat and a leg segment. 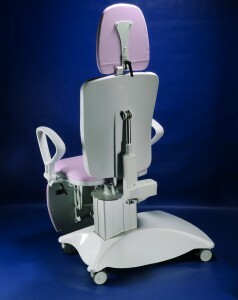 The head segment can be adjusted manually; the leg segment can be manually tilted for the lying position. Possibility of rotation of the chair with the patient ± 90°; easy locking in three positions. 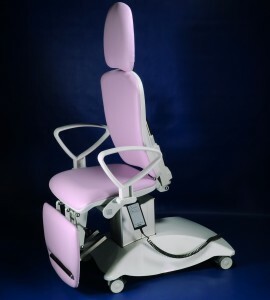 The chair has practical removable hand rails for the patient. 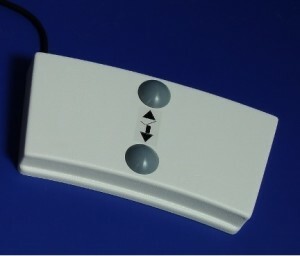 The electric drives are operated manually or, if required, using a foot pedal.